Blended design of teaching/learning foreign languages, in this case English grammar, has become widely spread within the higher education. The main objective of the article is to discover whether blended approach enhances the process of acquiring new knowledge in the field. The research was conducted at two institutions: faculty of informatics and management, University of Hradec Kralove (technical students) and faculty of education, University of Jan Evangelista Purkyne, Usti nad Labem (foreign language students), Czech Republic. Totally, the research sample included 123 bachelor students. Data were collected in three phases: (1) face-to-face pre-testing to monitor entrance knowledge before the process of blended learning starts, (2) post-testing 1 applied after the blended learning approach and (3) final face-to-face post-testing 2 administered at the end of semester. Phase 1 was followed by autonomous learning from the online course; teacher´s feedback was provided to the students after phase 2 so that they could correct their mistakes, and improve the knowledge in phase 3. Eight hypotheses were tested to discover whether there exist statistically significant differences in test scores between the technical and foreign language students. The results differ according to the students´ level of English knowledge. However, they entitle the described blended learning approach to be applied for acquiring English grammar for B2 and C1 levels of CEFR. This paper was supported by IGA 2019 project. Amaral, K., & Shank, J. (2010). Enhancing student learning and retention with blended learning class guides. Retrieved from https://er.educause.edu/articles/2010/12/enhancing-student-learning-and-retention-with-blended-learning-class-guides. 2018, February 18. CEFR. (2001). Common European framework of reference for languages: Learning, teaching and assessment (CEFR). Cambrdige: Cambridge University Press. Retrieved from https://rm.coe.int/1680459f97. 2019, March, 14. Djiwandono, P. (2017). The learning styles of millennial generation in university: A study in Indonesian context. Retrieved from https://www.researchgate.net/publication/319468187_The_Learning_Styles_of_Millennial_Generation_in_University_a_Study_in_Indonesian_Context. 2019, March, 08. Hangen, E., Elliot, A. J., & Jamieson, J. P. (2018). Highlighting the difference between approach and avoidance motivation enhances the predictive validity of performance-avoidance goal reports. Motivation and Emotion 42. Retrieved from https://doi.org/10.1007/s11031-018-9744-9. 2019, March, 08. Mansouri, A. (2018). The importance of teaching english grammar in foreign language situations. Retrieved from https://www.linkedin.com/pulse/importance-teaching-english-grammar-foreign-language-ali-mansouri. 2018, February, 22. SAMR Model Activities. (2019). Retrieved from https://www.google.cz/search?q=SAMR+model&biw=1280&bih = 675&tbm = isch&tbo = u&source = univ&sa = X&ved = 0ahUKEwjNmsKaofnLAhUF7BQKHTTiDX0QsAQIJQ#imgrc = -gZaHa_9_tzwOM%3A. 2019, March 12. The SAMR Model. (2019). Retrieved from http://www.schrockguide.net/samr.html#. 2019, March, 14. Trembach, S., & Deng, L. (2018). 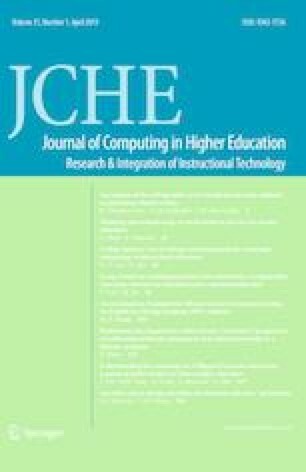 Understanding millennial learning in academic libraries: Learning styles, emerging technologies, and the efficacy of information literacy instruction. College and Undergraduate Libraries. Retrieved from https://www.researchgate.net/publication/327451228_Understanding_millennial_learning_in_academic_libraries_Learning_styles_emerging_technologies_and_the_efficacy_of_information_literacy_instruction. 2019, March, 14.